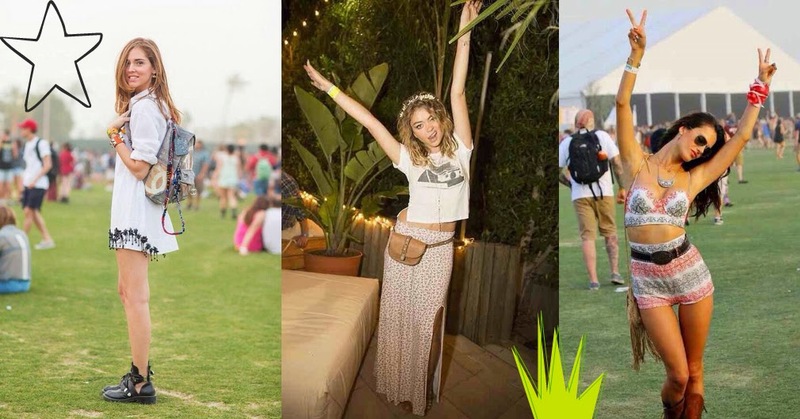 Festival season has well and truly kicked off with the 2 weekend long, celebrity infused Coachella! The music festival in Indio, California, is known for having incredible line up's year after year. But it's also as much about the music as it is about the fashion. Now living in England, our festivals are a little different. For us Brits, festival season includes animal onesies, wellies and a lot of rain and mud. And by a lot, I mean A LOT. But I think that's way Coachella's interested me for years. Like I said in last years post, Coachella releases the inner hippy in every one. This year I thought it would be a fun idea to show you all a few of my favourite outfits over the past 2 weekends. I've obviously narrowed it down to just a few -there's always so many that I love! What's your favourite festival fashion?